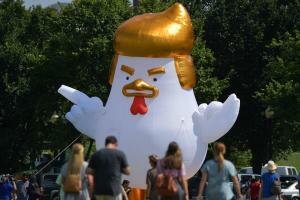 a creepy naked guy rants about tp in an odd daytime display in nyc. 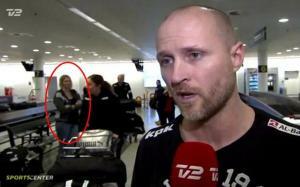 Footage of a woman "vanishing" during a live TV broadcast freaks out the internet. 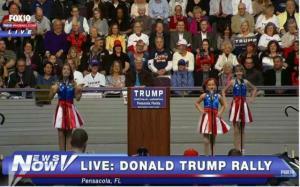 A recent Donald Trump rally features a creepy warm up act by a trio of little girls. A suspected bank robber appears when a news reporter is shooting a live shot for KIMT News 3 in Minnesota. a local news station fails miserably at trying to stage an on-camera incident to help corroborate a news story. 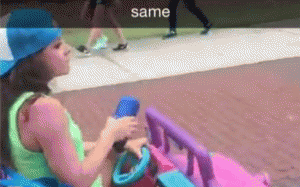 A college student is forced to get around on a barbie car after her car is taken away. a woman walked into a wawa convenience store in delran, new jersey. 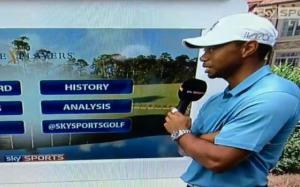 A woman videobombs a Tiger Wood's interview, leaving the internet to wonder what exactly it is that she was doing. a person dressed in a batman costume helps to break up a fight in the streets of nyc. autrities are looking for abdi salxany w has stabbed a young woman for staring at his hairline. 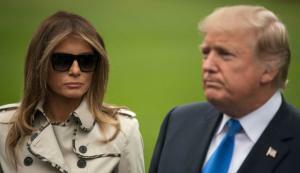 an 'alternative model' gets a cast of her in bronze. because, why not? 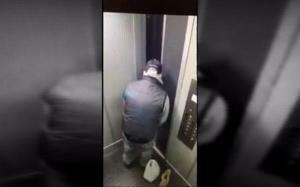 A pizza delivery guy is captured on camera taking a pee on a residential elevator.